Imphal, Feb 15: Ninety eight (98) applicants under die-in-harness scheme at the state Public Works Department (PWD) still suffer as authority had put halt their appointment process for reason best known to them. Source said, a leakage about monetary demand allegedly asked by some of the top government officials who were dealing with the file process is the reason for not taking up the case for appointment of the Ninety eight (98) applicants applied under the die-in-harness scheme. In February 2017, this newspaper after receiving information about govt. top officials asking money for processing the file for the applicants had conducted independent investigation regarding the matter. In the course of investigation it was found that an association of the job applicants under die-in-harness scheme at state PWD department was formed under the initiative of one L Kholen, who is also an applicant under the scheme at the department. On January 4, 2017, a meeting was convened at Sagolband Bijoy Govinda Thangapat Aroiba Lairenjam Leirak Keli Makhong Community Hall to press the government for pushing up the matter of die-in-harness appointment. The meeting notification was circulated through cell phone from a cell phone number 7008147687. One applicant when enquired the amount to be contributed to the sender of the notice informed that Rs. 50,000 is the contribution. He further told that the money was meant to pay to officers at department of personnel affairs. On further investigation it was learnt that the then officer who was handling the case summoned Kholen and asked him about the reason for collection of money. He stand firm saying that no money was collected from any of the applicant . However, Kholen with some group of people came to the office of Imphal Times saying that they have not collected any money for payment to any officers. 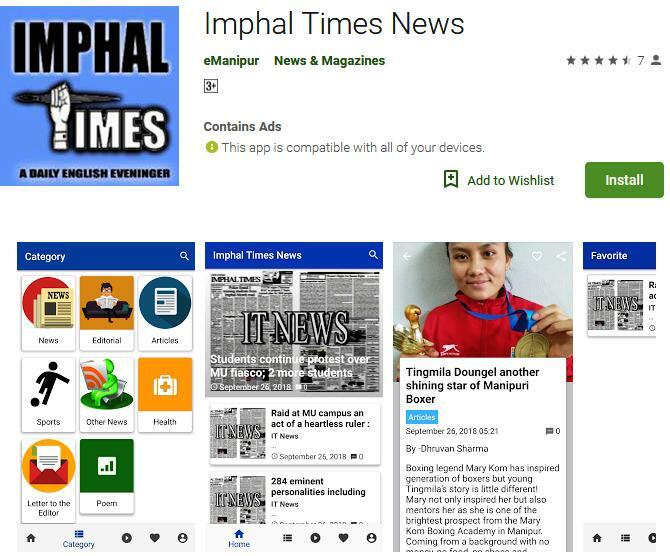 Imphal Times after investigation waited for more evidences to publish the story and finally it was learnt that the officer personally called up all the files of the applicants and started checking by himself. Unfortunately, the officer was transferred to another department on routine government reshuffled measures. Since then the matter regarding the appointment of the applicants under die-in-harness scheme has been put halt. Recently, In January this year (2018) one applicant went at DP to check the progress of the files. Interestingly, a DP staff did not allowed the applicant to even inquire about the status of the file saying that he had to get permission from L. Kholen first. Kholen is no official staff neither any agency member of the government but how come a government department need permission from an applicant. Imphal Times now learnt that the files for appointment of the Ninety eight (98) applicants have been returned to the PWD department. For reason best known to the government authority the case for appointment of 108 die-in-harness applicants has been put to halt.